Destiny. For those who believe it exists, it’s inevitable, a force that has pre-determined the future of individuals. It is unknown whether a 17-year-old Brazilian wonder-kid named Anderson believed in it when he earned a transfer from Gremio to FC Porto, after a series of dazzling performances in Brasileirão saw him labeled as the next Ronaldinho. Like the man he was compared to, the starlet tasted the limelight thanks to his form, and had many believing his potential was immeasurable. However, also like the former Ballon D’or winner, it all came crashing down. After continuing to impress with Porto, the youngster earned a then record £25 million move to Manchester United in 2007 and the sky seemed to be the limit. What he didn’t know was that after five years with the club, his reputation would have transformed from promising youth with the world at his feet, to a far less vibrant shadow of his former self. His fall from grace seems so calculated that only a force such as destiny could be behind it. 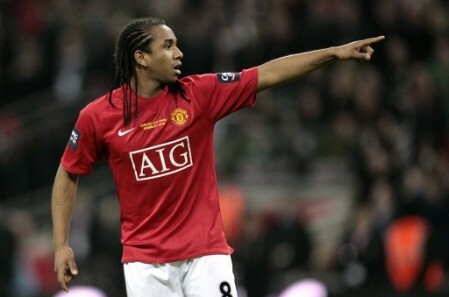 Before he signed the contract, Anderson was destined to fail at Manchester United. Is Anderson a genuine talent? Or is he just another transfer gone wrong for Fergie? Read on here about the United midfielder, who continues to divide opinion. ← Everton: Best of the rest?